Just between snows in February, I visited Common Good Farm near Raymond, Nebraska. Ruth and Evrett, the farm family that started Common Good Farm are biodynamic farmers. In simple terms, this is organic farming at a deeper level. The treatment and care of livestock focuses on using food raised on the farm. Vegetables are fed with compost and manure from, you guessed it, this farm. Ruth and Evrett raise livestock, produce and are the proud of parents of Agnes, the corgi cattle dog and several 2-legged beings as well. I enjoyed the morning at their kitchen table learning about their CSA and farm plans for the year, and several antidotes from their two teenagers who wandered in and out, depending on the topic at the table. Ruth and Evrett first heard about my idea for an inclusive urban farm last summer when I stopped to buy plants for my garden. They both had worked at Camphill Village in Minnesota, a farm for specially-abled adults. When I laid out our plans for Fontenelle Forest’s Camp Brewster, Evrett perked up and asked to see a topography map. They understood immediately about my desire to create a community of care for these wonderful lands we’ve been allowed to care for and started asking more questions. “What kinds of native cultivars do you see there? How will you incorporate intense growing principles to generate good soil health? Have you contacted the Nebraska Statewide Arboretum?” They didn’t fire these questions at me, but rather pondered aloud. They were excited about the project. I will return to Common Good Farm soon, mostly to pick up some of their grass fed beef we ordered, but also for more conversations with these remarkable people. Continuing on from the Empty Lot downtown story shared in December. This is part of the team that has been working to transform a vacant lot “into a verdant, multisensory urban oasis designed to spark joy, learning, reflection, connection, and fun”. Words of Jill Wells, gal who is 2nd on the left. Following are more of her thoughts on this project. We are living in fractured, isolated times. Every day it seems that there is a new issue that deepens our divide. What if we could take this moment in time, and the space we’ve been given, to focus on what unites us? Nature unites us in a way very little else does. Nature provides the water we drink, the food we eat, the air we breathe, the climate we live in. We have one community, and we all share in its future. Land and history connect us. There were once prairies with a mosaic of grasses, flowers, insects, birds, and bison here. Indigenous people who lived on this land long before European settlement knew the value of a seed. The upper Missouri River tribes grew, harvested, and celebrated the cosmology of the Four Sisters (corn, bean, squash, and sunflower) here. What was that experience like? We invite visitors to interact with native plants not as artifacts but as living connections to generations now gone. 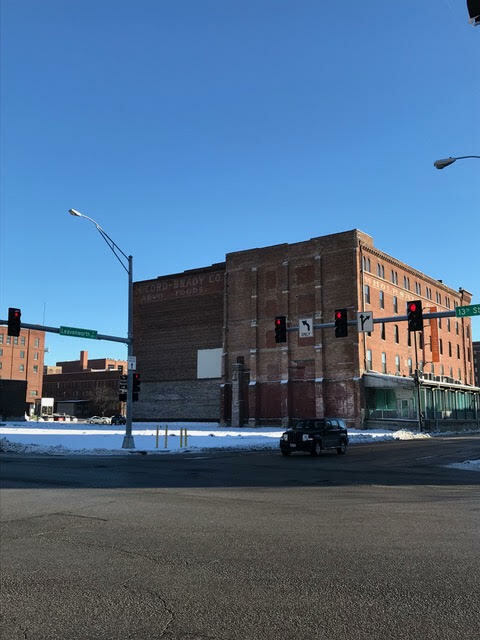 When Warren Distribution removed the building that once stood at 13th and Leavenworth, a space opened up that Janis Regier, Executive Director of Clinical Solutions at Natural Therapy, started to imagine as a small garden or green space. After all, it was right across the street. The Schlott family liked the idea. She grew flowers and food and wondered if there was more potential if others got involved. So, she asked… and an unusual coalition was born. No More Empty Pots and The Nature Conservancy brought ideas. Not long after that, Kinghorn Gardens stepped up to create a landscape design. PTP Integration started to work on digital aspects of the project. Creighton Professor and President of Sacred Seed LLC, contributed knowledge of tribal geography and indigenous seeds. Bemis lent their artistic vision. For most of the group, it was the first time encountering the other members. Over a series of conversations, a shared vision emerged. This past week, I visited Mosaic to attend their monthly “Discover the Possibilities” tour. I was met with warm grins, sweet hugs and endearing stories as I learned more about the program. There were several parents of Mosaic who shared testimonials. This is Chris. One of the speakers was Chris’ mom, Sarah. She explained the different jobs Chris has held through Mosaic and all of the people he’s chosen to meet. Starting with our Mayor, Jean Stoddard, he then chose to meet Governor Ricketts and you can imagine who was next, President Obama. To see Chris’ grin as his mom told about their travels and held her hand provided the context of why Mosaic means so much to so many. They believe in moving beyond stereotypes to provide a meaningful life, caring community and giving a voice to all of the Mosaic family. One gentleman explained that everyone has dreams and goals, why should only basic needs be met? People of all types need to be given a chance to seek their goals and bring dreams to life. The care and kindness I witnessed in this short tour reiterated what I’d read earlier about Jesus and his life on this earth. He encouraged us to bring our burdens to him. He was gentle and humble in heart and offers rest. The Mosaic people I met were all that, gentle, humble and offering me rest from the chaos of life. The burdens to keep up, fit in, feel productive and have value evaporate within the walls of Mosaic. It is easy to rest and enjoy when surrounded by people who are gentle and humble in heart. It was this sentiment that flooded my thoughts as I drove across the Mormon bridge into Iowa last week, heading to the Iowana farm. My boss, Nancy, had told me about Terry and Cynthia, the farmers who embrace educating others about organic farming. When I’d reached out to Terry initially, she was warm and welcoming, inviting me to “come in through the kitchen door”. Even so, as I drove into their lovely farmyard, I was bashful. That lasted for about 2 minutes. Once I entered the warm kitchen and was invited to sit down at the table, the stories naturally began. I first heard from Cynthia, whose PhD from Northwestern in interpersonal communications has her currently working with other educators to put their lessons online. Cynthia’s passion and broad background in training teachers and education at all levels was evident as she delivered vignettes of what she’s learned by learning with others. Terry, meanwhile, had been chopping and sautéing veggies for lunch, as well as brewing a lavender/basil tea that we enjoyed while lunch was cooking. When Terry finished preparing lunch, she started by explaining how she and Cynthia visited this farm, their grandparents’, every summer from California. She shared an early memory of riding on the harness of her grandfather’s horse team above the cultivator as it dug up soil on either side of the corn rows. As she explained this memory, I could smell that warm soil being overturned and releasing the pungent aroma that defines Spring planting to me. It became the driver to Terry’s life as she completed working 27 years in the Stanford Physics department and moved to Iowa to start the Iowana Farm. Terry shared the development of their certified organic farm, in the valley of the Loess Hills. These hills, without much clay, have eroded to provide 80 inches of top soil in the valley where this farmland is situated. This organic farm teaches school children, volunteers, interns and CSA subscribers by providing farming opportunities throughout the year to work together planting, weeding, harvesting and processing food. When Terry and Cynthia turned their attention to why I had asked to visit the farm, I shared my childhood dream and both of them smiled from the inside out. Explaining how I see this farm coming to life to provide magic for the marginalized made it more real for me too. As I told them about Fontenelle Forest, being granted 2-3 acres next to the forest and my desire not to dig it up to create beds but to use it in it’s natural state, Cynthia lit up like a firecraker! She said, “This is exactly where agriculture is moving - towards being biological, not chemical”. 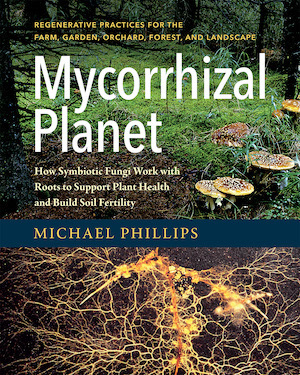 The girls were at the Practical Farmers of Iowa Conference where they heard about Michael Phillips’ book, “Mycorrhizal Planet” which encourages a nondisturbance priniciple to build soil structure and fertility to last for ages. She also told me, “Trust your instinct” which resounded deeply in me. As I prepared to leave, we quickly decided that more meetings were needed for us to define how to imagine an agricultural systems that functions like an ecosytem. So, while I drove up a bit bashful, I left the farm excited. Perhaps my favorite quote of the day was from Cynthia, when she said this about sisters: “The thing that may annoy you most about your sister usually turns out to be one of your best qualities”. Chris Kelly passed away this morning at 2 am. Chris was born with Cerebral Palsy from his mother’s prenatal drug use. He was adopted by Carol and Dennis. After Glen met Dennis at their church in South Florida, Dennis asked Glen if he would meet his son, Chris. Glen did and the two became friends. Chris’ dependence on a walker wasn’t a problem for either one of them. Glen would simply pick up Chris and throw him over his shoulder as they went wherever they wanted: movie theaters, South Beach, restaurants. Chris was 15 when they met and in an honors program at the Boca Raton High School. Glen, a tad older, and working for First Data in Coral Springs, Florida. Chris was brilliant. He could relate to anybody he met, could code in all sorts of languages and could fix any issue presented from operating systems malfunctioning to how to hang Glen’s ties in temporary housing to how to have tough conversations with colleagues to finding our way around a city. Chris was our first and most trusted Siri. I first met Chris when we were in Florida for a wedding and Chris was the best man. He had everything organized, timelined and set up for the couple, complete with a script for Glen to read during their first dance at the reception. Chris was flawless in execution. It was our initial trip to Florida as a couple, and since then, we’ve made 13+ trips to Florida. Most often, we would stay with Chris and his parents. Glen and Chris would spend at least one day to themselves to watch movies, eat Cuban food and discuss all sorts of topics. There would be plenty of giggles and curses drifting out from Chris’ bedroom. In 2004, Chris’ condition worsened and he was no longer able to use a walker but was confined to a wheelchair. In a matter of months, he was sequestered to his bedroom where he spent the next 10 years of his life. We celebrated the Academy Awards together last year, splitting Veuve Clicquot via FaceTime. Chris was never ever complained but rather would call to encourage us. When I talked with him last week, he asked if we’d secured our champagne for the Academy Awards as he’d ordered his. Before we hung up, he prayed for Glen and asked what was going on with the farm and when would Gabe be able to start working on it. 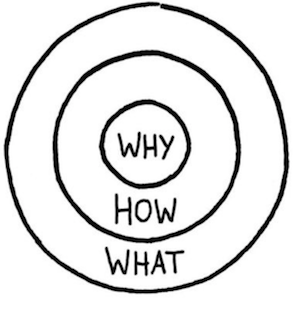 Chris’ why was evident: Only the present matters. Chris and his parents, Dennis and Carol, Christmas 2018. I started a new job at No More Empty Pots. It was first real job in 4 years and like any change, I was skeptical. My concern was how I could continue to do the things I loved when I had to go to work. 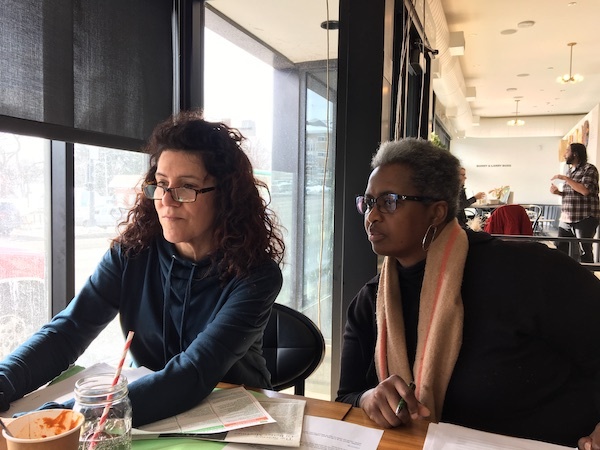 Since one of my new dear neighbors, Jess Pate, had introduced to Nancy Williams, the No More Empty Pots CEO and co-founder, I had been intrigued by the concept of a Food Hub in a food desert. So off to Florence I went last January 8, to open a new chapter in my career. My title was Project Lead and I was tasked with developing a curriculum to teach young adults about IoT and Local Food Systems. I had never heard about IoT, so I first had to learn about the Internet of Things. The concept of the diverse connections you can create with technology was interesting but I what I really learned about at No More Empty Pots was how to “Live my best life on my own terms”. Early on in my conversations with Nancy, I felt a difference. It wasn’t just that this was a non-profit setting, it was Nancy. She had a way of bringing out the best in anyone with little ease. She had complete confidence in my ability to develop this curriculum, even though I was dubious. After my first time delivering the content to high school juniors I felt I hadn’t done well because they hadn’t listened or engaged with anything. Nancy told me, “They were listening and watching everything you did. It’s just not cool to listen when you’re a teenager.” Then as the deliveries continued through the summer, I dealt with tougher situations and more distant teens, she told me, “As long as you show up everyday, you are teaching them something about life”. Throughout my first year in this role, Nancy always had time to listen to me and remembered what I’d said. She told me that she had complete confidence in my abilities, and while that may seem trite…she believed it and after a while I started to too! One of the most powerful statements she made was her telling me, “This is not the last job you were at.” I hadn’t shared any background on my last position, yet she intuited from my behavior that it had ended acrimoniously. I praise the Lord for bringing Nancy Williams into this world and into my life. As I continue to grapple with her line to “Live your best life on your own terms,” I have the best role model to learn how this is done. I simply watch Nancy live hers. Janis and Nancy are friends. They talked about the empty lot across from Janis’ business, Natural Therapy. Janis wanted to create beauty, Nancy was willing to help. 8 months later, there are 10 of us sitting around a conference table talking about the lot. What could it be? What should it be? People around the table are interested in creating beauty but also telling a story. We settled on the name: Sharing Roots. We will use this space to tell the story of Nebraska’s rich agricultural past, opening up ideas for the future. Here’s a possible plan for this space. 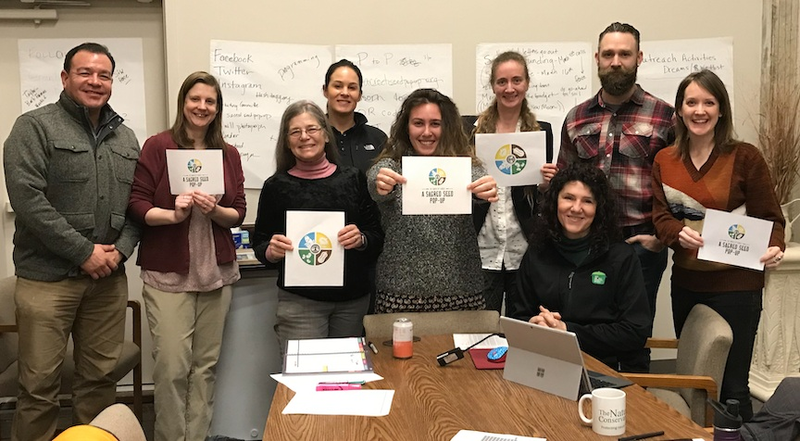 December 4, 2018 was a banner day for our “yet to be named” inclusive urban farm pilot. A few weeks back, I met with Nic Batterton at Mosaic. We were talking about my nephew Gabe and the possibilities that Mosaic may present for him. After this, we chatted my current role at No More Empty Pots piloting an inclusive urban farm for specially-abled adults. Nic lit up, seriously, like a Christmas tree. He explained, as Daryn Richardson had a couple months back, about specially-abled adults needing opportunities to integrate into the community. Nic explained that many of the Mosaic people would love to do something somewhere that had meaning. As I explained more about our Collaborative Community centered food hub, Nic started to see the possibilities and knew we needed to meet at No More Empty Pots. Last week, Nic and Aaron, met Nancy and myself at No More Empty Pots. 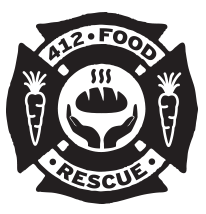 As we toured our food hub and the ongoing construction on the ground and roof levels, we brainstormed how our two organizations could partner together. Nic and Aaron told personal stories of the folks that would love to be involved in food rescue efforts to learn about nutrition and create meals. Another passion of mine is recycling, Aaron shared that their recycling team has taken bottles out of people’s hands for fear it would end up in the wrong bin. When I told Nic and Aaron that I haven’t developed curriculum for specially-abled people, they were quick to console me and explain that the lessons we teach aren’t as important as the care and kindness we can show the Mosaic people. Sure, we’ll learn how to cook carrots but we will also become friends who work together. This is where the magic lies. People who grow, prepare and eat food together. Gabe has always loved farming. Years ago, my sister started the practice of making sure Gabe got back to the farm every planting and harvest season. This was a feat, given that they live in Santa Monica. It’s one of Gabe’s favorite things to do in life, riding with Dad in whatever implement he’s driving. Creating a space where Gabriel could contribute in a meaningful way is one of my goals for our Inclusive Urban Farm. Knowing that Gabe is the impetus behind the collaboration of No More Empty Pots, Mosiac and VODEC makes this pursuit all the more important. Back on the path to Farming! I believed my tenure at No More Empty Pots would expire at the end of the August when the CISCO grant was completed. I approached my boss, and our CEO, Nancy Williams, to talk about my exit strategy but she had other ideas. Instead of taking a sabbatical to explore creating my urban farm on my own, she invited me to do just that under the umbrella of No More Empty Pots. Nurturing my current relationships with The Nature Conservancy, Fontenelle Forest, and other agencies, No More Empty Pots will allow me to broaden my reach and see who’s interested in joining us. Merica Whitehall, from Fontenelle Forest had spoken to Nancy and me about the possibility of using land at the Forest for the farm pilot. We met and viewed the land...it looks spectacular and has a great name already: Camp Brewster! Now, I’m settling into research to explore inclusive urban farms. Camp Brewster - with the Missouri river on the top right.